It is an idyllic spot located in the shade of a tree right on the edge of the river. The statue is part of the Amaryllis Art for Charity project, which has placed similar statues in many locations around the world. See a video of the unveiling here. 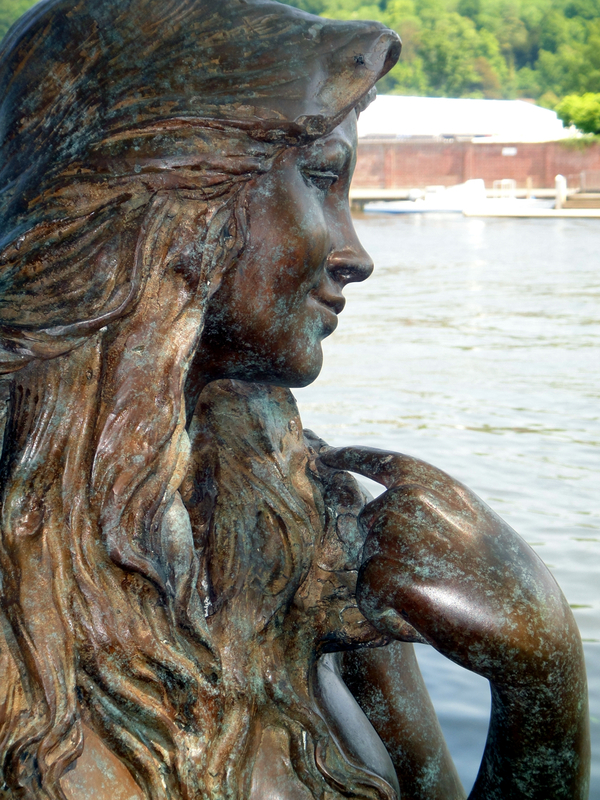 The Ama of the Thames mermaid statue. We need high-quality high-resolution images of this mermaid statue. If you know of any great photos of this mermaid sculpture, let us know where to find them. If you have photos that are yours which we may use, please upload them to us.